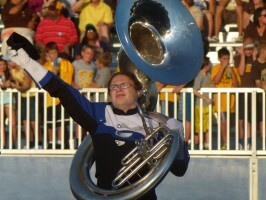 Fairmont High School’s Band Department will perform two concerts in the next two weeks. Their first Ohio Music Educator’s Association concert will be at 7 p.m. on Thursday, March 10, in Fairmont’s auditorium, and their second will be on Friday, March 18, in Centerville High School’s auditorium. All four concert bands will perform for their OMEA preview concert. The second concert is an OMEA contest concert, and the bands will be judged along with many other Ohio bands. Both concerts are free of charge to the public.